Across the country, 6 out of 10 children under the age of 6 are being cared for outside the home each week. They’re attending child care centers, day care homes, Head Start programs, preschool and pre-kindergarten programs – programs commonly called early care and education, or ECE, programs. These programs can provide a healthy environment for children to eat, play, grow, and develop healthy habits for life. When kids are physically active and eating nutritious foods, they are healthy, ready to learn and more likely to be at a healthy weight. With so many children attending ECE programs each week, they are a good place to focus on obesity prevention efforts. More than one out of three Alaska 3-year-olds is overweight or obese. This puts them at increased risk for weight-related diseases, like type 2 diabetes. Children with obesity are more likely to become adults with obesity, which means many of these young children will be obese their entire lives. The younger you are when you become obese, and the longer you are obese, the greater your risks for having health problems, chronic diseases and dying at a young age. The Let’s Move! Child Care (LMCC) program, part of First Lady Michelle Obama’s Let’s Move! initiative, encourages and supports ECE providers to make positive changes in their programs to help children get off to a healthy start. LMCC helps providers meet best practices in five goal areas: increase physical activity, limit or eliminate screen time, nurture healthy eaters, provide healthy beverages, and support breastfeeding. Each goal has several best practices adapted from “Caring for Our Children: National Health and Safety Performance Standards,” which provides national standards for ECE settings. ECE providers who meet all the LMCC best practices can become a “Recognized Let’s Move! Child Care Provider” and are showcased on the interactive LMCC map online. This past year, education and promotion efforts helped double the number of Recognized Let’s Move! Child Care Providers in Alaska. The Alaska Obesity Prevention and Control Program has partnered with thread, Alaska’s statewide Child Care Resource and Referral Network, to implement an Obesity Prevention Quality Initiative. This initiative provided 14 ECE sites with individualized training and resources to implement nutrition and physical activity policy changes to help meet the Let’s Move! Child Care best practices. In order to reach early education programs throughout Alaska, the quality initiative program used online training resources, videoconference, telephone and thread ECE trainers located in Anchorage, Fairbanks and Juneau. A second Obesity Prevention Quality Initiative will begin this fall for 16 new ECE sites. The Alaska Alliance for Healthy Kids – Early Care and Education Group was formed this year to bring together people interested in addressing childhood obesity in the ECE settings. The group consists of Head Start and individual ECE providers, as well as ECE organizations that provide licensing, training, and technical assistance to child care centers, such as thread, the Child and Adult Care Food Program, the Alaska Child Care Program Office, and the Women, Infants and Children Program (WIC). The Alaska Alliance for Healthy Kids group is working to develop recommendations for improvements in Alaska’s child care regulations related to nutrition, physical activity, screen time and breastfeeding to help meet the “Caring for Our Children: National Health and Safety Performance Standards.” The group also hosts a listserv to provide up-to-date, Alaska-specific information on childhood obesity prevention issues for ECE providers. You can learn more about improving physical activity and nutrition in the ECE setting by clicking here. 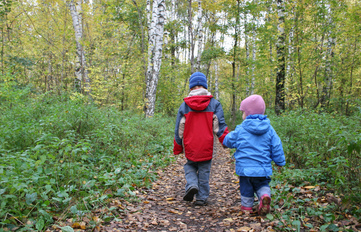 You can click here to join the Alaska Alliance for Healthy Kids - ECE listserv. If you have a question about childhood obesity prevention, please contact Diane Peck, ECE Obesity Prevention Specialist, at diane.peck@alaska.gov or 907-269-8447. Early Childhood Program Participation Survey of the National Household Education Surveys Program (ECPP-NHES:2005). National Center for Education Statistics Web site. Accessed June 21, 2016. U.S. Department of Health and Human Services. The Surgeon General’s Vision for a Healthy and Fit nation. Rockville, MD: U.S. Department of Health and Human Services, Office of the Surgeon General, January 2010. 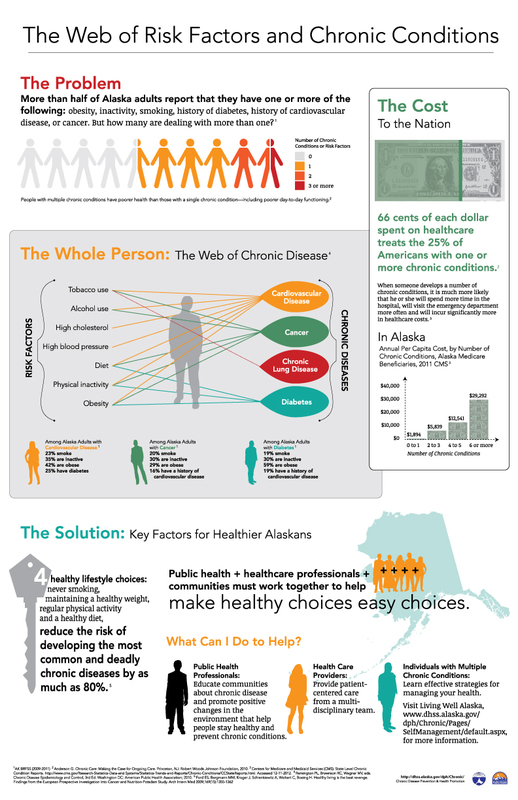 Alaska Department of Health and Social Services, Section of Women’s, Children’s and Family Health. Alaska CUBS (Childhood Understanding Behaviors Survey) Results – Health & Development Data Sheet. 2013. American Academy of Pediatrics, American Public Health Association, National Resource Center for Health and Safety in Child Care and Early Education. 2011. Caring for our children: National health and safety performance standards; Guidelines for early care and education programs. 3rd edition. Elk Grove Village, IL: American Academy of Pediatrics; Washington, DC: American Public Health Association. Also available at http://nrckids.org. Announcing CDPHP Webinar Series. Go to the website to see a list of upcoming webinars and to register to attend. Meet Daniel - Learn about his solutions for low- or no-cost ways to eat better and move more.